Are you searching for used Audi finance? Worried you might not be approved for an Audi on car finance because of a less than perfect credit rating, or for not having a deposit ready? With Refused Car Finance, you can get finance for a used Audi, even if you’ve been declined elsewhere. Find out how we can help you below and you could be the proud owner of an Audi in no time! How does used Audi finance work through Refused Car Finance? Refused Car Finance accept finance applications on all second hand Audi models, giving you plenty of choice! The first step to getting your used Audi is by hitting the red Apply Now and filling out the short application form. A member of our Customer Contact team will be in contact shortly after to confirm your details. Once we have everything we need from you, we will then send your application onto our lending panel. Within a few hours we should have some fantastic finance options available to you. Once you’ve picked the best deal and all documents have been signed you can go shopping for your Audi! We can even help you with locating the best Audi to suit your budget if you would like our help there too. You can find out more about how car finance works here. Not many of us are in the luxury position of being able to pay a large cash deposit when purchasing a car. Which is why, unlike some other finance companies, you can get no deposit Audi finance on a large range of our finance packages. If you have spotted a used Audi you’d like to buy but don’t have enough money to put down as a deposit, don’t worry. We will send your application to lenders that offer no deposit options in order to get the best deal that suits you. That way you will be getting the car deal that fits your affordability the best, with repayments that suit your budget. A bad credit rating is one of the top reasons a car finance application gets declined. We don’t think it’s fair that a number on a credit report can determine whether someone gets a car loan or not. When you apply through us you will be considered on your affordability today. You then have the opportunity to rebuild your bad credit score, whilst enjoying your Audi. When it comes to bad credit Audi finance, Refused Car Finance are one of the top providers in the UK. We have created a panel of lenders that specialise in bad credit Audi finance applications. Therefore, we are able to provide you with the best Audi finance deals for your personal circumstances. We pride ourselves on how we work harder than any other car finance broker to get you the best deal. That is why we approve 98.4% of finance applications! Looking for used Audi A1 finance? We have a range of finance packages perfect for you! Affordable weekly or monthly payments and flexible repayment terms means you can secure your Audi A1 with peace of mind that you can easily afford your repayments. The Audi A1 is the smallest of the Audi models and amongst the most popular. It couples the high quality that we have become so accustomed too with a German manufacturer, along with low running costs which make it a fantastic option. On the lookout for a stylish saloon for you and your family? Then the Audi A4 could be for you! The 2017 model was voted ‘Best Executive Car of the Year 2017’ by WhatCar? Magazine, with the earlier models just as desirable. It’s available in a range of body types including the Avant and Sedan and cheaper than its closest rival, the BMW 3 Series. A perfect option for families and business executives alike! As a popular car for business purposes, you may be interested in finding out more about self-employed finance. If you’re looking for a family hatchback, it’s hard to find a better example than the Audi A3. Available with 3 or 5 doors and a range of fuel-efficient engines, it’s both practical for small families whilst retaining the excellent build quality and distinctive Audi styling that is so sought after when it comes to the Audi brand. Used Audi A3 finance is made easy with us. We help get your finance sorted first so you can shop around for your preferred A3. Then there is the Audi A5 which debuted in 2007 and fast became a favourite amongst British drivers. The biggest of the Audis in our list, the A5 is known for its luxury design, vast range of fuel-efficient engines and great handling thanks to its four-wheel drive. When it comes to used Audi A5 finance, we can get you the finance sorted within days and you could be driving your new car within the week! 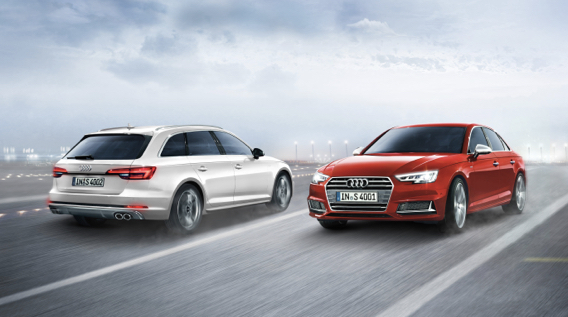 Whichever Audi you are looking to obtain credit for, we can help you. The Audi brand houses some of the most popular cars on our roads today, and for good reason. Audi is a reliable brand, producing both stylish and safe cars for our families to enjoy. Their designs are eye-catching, boosting modern elegance that appeals equally to men and women. They are often economical on fuel and some models cost just £30 a year to tax, resulting in minimal running costs. The price of a new Audi can be somewhat steeper, but when it comes to buying a pre-owned model there are some fantastic deals to be had! If you are not looking for used Audi finance, you may be interested in finding out more about the other car finance we provide.